This game will test your knowledge of when some the biggest movies first came out. This game will test your knowledge of when some the biggest movies first came out. Try to create a correct timeline by placing movies in the correct order. 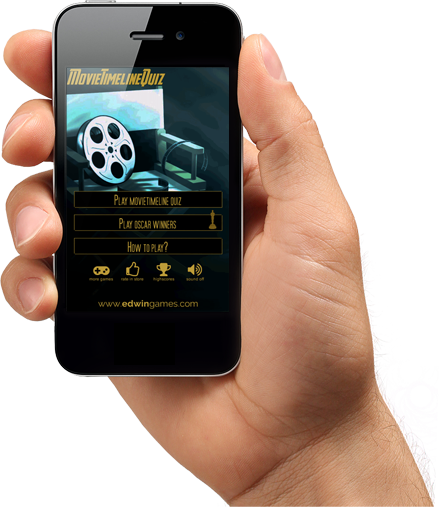 MovieTimelineQuiz is a free mobile game. It is available for download in the google play store. This game features over 500 movies over a timespan of nearly 90 years. There is a bonus game on Oscar-winners. Test your reflexes with this image matching game. Strategy game. Capture the criminal by strategically place your policemen. Endless jumper game. Avoid enemies while jumping on different platforms. Test your knowledge of when movies first came out.